You've probably heard your dentist talk about plaque. 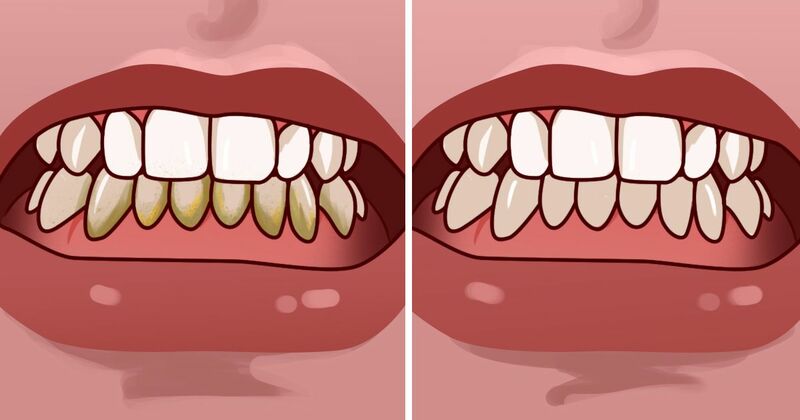 It's the film of bacteria that sticks to teeth, explains WebMD. Plaque is colorless and dangerous. It leads to the breakdown of tooth enamel and eventually causes tooth decay. Plaque can also destroy the bones supporting the teeth and the roots of the teeth under the gums. 1. DIY antiseptic mouthwash. This mouthwash from Frugally Sustainable is so tasty you'll be tempted to drink a dram. Into a pint-sized jar pour 4 ounces (120 ml) peppermint hydrosol (buy in health food stores or learn to make your own with Mama Rosemary), 1 teaspoon (5 ml) thyme extract, 2 teaspoons (10 ml) myrrh gum extract and 5 to 10 drops mint flavor extract. To use, shake well and swish for 30 seconds before spitting. 2. Essential oil mouthwash. Mix in a glass bottle 1 cup distilled water, 1 teaspoon sea salt, 1 teaspoon calcium magnesium powder, 4 drops spearmint essential oil, 2 drops peppermint essential oil, 2 drops cinnamon essential oil and 2 drops clove essential oil. Swish and gargle, as recommended by Organic Lifestyle Magazine to restore oral hygiene. 3. Antibacterial mouthwash. Going Very Green recommends this DIY mouthwash because it's detoxifying, antibacterial and effective at reducing plaque and periodontal disease. Mix 2 teaspoons baking soda, 2 drops peppermint essential oil, 2 drops tea tree oil, 2 drops thyme essential oil and 1 teaspoon neem oil in 1/2 cup warm water. If you absolutely need to, add 1 teaspoon honey to sweeten the flavor. Shake before swishing and spitting. How have these DIY mouthwashes affected your oral hygiene? Tell us your success stories when you SHARE this article on social media.